You must be a member of the Frankfurt Wine Lovers Group to attend this activity. Would you like to join this group? During this wine tasting event we are going to discover Italian wines. 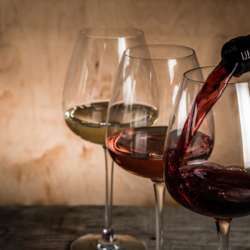 There will be several wine stands and several wine experts are going to present the new arrivals, as well as their top products from the different regions. Please note: the event is public, which means not exclusively organized for InterNations, but open to all clients and visitors of the winery (that is the reason why it doesn´t cost any fee). Don´t be shy: ask the wine specialists of every stands. Most of them speak excellent English and can give you a very detailed picture of every wine and its region. This event really represents the best opportunity to learn a lot about wines ! Please note: do not mention any InterNations special groups because, being this a public event, the location wants to avoid that big groups will fill the entire location. If you don´t find me at the entrance, just give me a ring ! Looking forward to meet you there ! P.S. There are products on sales in the boxes close to the cashier: sometimes you can find excellent bottles of wines with a huge discount only because there have few bottle left !